Thankfully Nurse Markey decided to take a different route to pick up her step-kids at school because she ended up at the right place at the right time. A couple who wanted to have a natural birth were getting more than they bargained for on a very special day. As much as they wanted to, they couldn’t deliver in the hospital. The baby had other ideas and they ran out of time. Markey sprung into action and helped the couple. She’s thankful for the experience. Normally she’s around at the end of a patient’s life, but this time, she was there from the very start. Continue reading below for more details about what happened that day. Michelle Markey sensed that something unusual was going on Friday morning as she drove down Route 101 in Wilton, N.H. “When you’re a nurse, you look at the whole situation,” she said. And the situation she saw signaled distress. A young man was standing next to his truck, pacing, cellphone pressed to his ear. Markey pulled over. Crammed in the front seat was a woman in full labor, the baby’s head showing. Markey is a cardiac nurse at Tufts Medical Center. She had never delivered a baby. Orion and Janella White had wanted a natural birth for their second child, and nature was certainly taking charge. Janella had been feeling some cramping overnight, but she told Orion not to worry when he got up for work early Friday. When their daughter was born two years ago, Janella had contractions for two days and spent six hours in labor at the hospital. Even if this one took half as long as his sister, they still had plenty of time to get to the Birth Cottage, a birthing center in Milford where they hoped to deliver the baby in a homelike setting. So Orion headed out to his job as an aircraft mechanic in Westfield, Mass., an hour and 25 minutes from their Rindge, N.H., home. About 8:30 or 9 a.m., Janella could tell that the baby was coming that day. She texted Orion that he might want to head home, but that there was no rush. By the time Orion arrived, though, she knew it was urgent. Orion grabbed some pillows, and they took off. But as it became clear they wouldn’t make it in time, Orion pulled over and called their midwife, Adrian Feldhusen. He pulled into the driveway of a condo development. A stranger pulled up behind them and called 911. Markey arrived seconds later. It was strange she was even driving on this road. She was off from work and heading to pick up her stepchildren at school, but she had some extra time and decided to try out a different route. The Whites were relieved to have a nurse on hand. Markey was relieved to have a midwife on the phone. Feldhusen told Markey how to turn the baby’s head to release the shoulders. The baby came out quickly, but he wasn’t crying. At the other end, Feldhusen heard the phone go dead. Not given to panic, she figured someone put it down. So she grabbed her bag to head out. Meanwhile, Markey smacked the baby, gingerly. Keihin White had successfully entered the world, sharing a birthday with his 26-year-old father, who stripped off his shirt and wrapped the baby in it. The ambulance came moments later, and Feldhusen arrived as Janella was being put on a stretcher. She joined mother and baby in the ambulance, where she delivered the placenta, cut the cord, and helped Janella start breast-feeding. The Whites spent the night at St. Joseph Hospital in Nashua and went home Saturday. On Tuesday, Keihin had his first checkup with the pediatrician — all was well. And later that day, the Whites reunited with Feldhusen and Markey in Milford, and told their tale to the press. Markey isn’t thinking of taking up obstretrics. But she was glad to have helped. As a cardiac nurse, she deals a lot with people who are dying. It felt good to be at the other end. “To see someone be born is amazing,” she said. 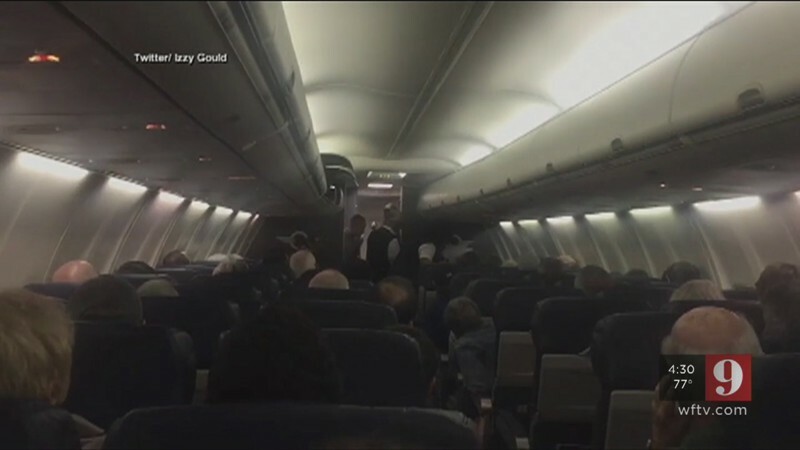 There was a big tiny surprise on a flight leaving Philadelphia. A woman's water broke and luckily a Nurse of 40 years, jumped into action. You might be wondering how the pregnant woman got clearance to fly. Turns out she was only 26 weeks pregnant. The baby, ironically named Jet, was a miracle delivery and is still in the Intensive Care Unit. I can only imagine the panic she was facing on that plane and how thankful she must be for Nurse Bledsoe. The Nurse knew she had to help. Bledsoe said, "I believe that God puts you where you need to be." Have you ever been in the right place at the right time and able to be of assistance in saving a life? An Orlando nurse who helped deliver a premature baby on a Southwest Airlines flight said she didn’t think twice about jumping in to help. 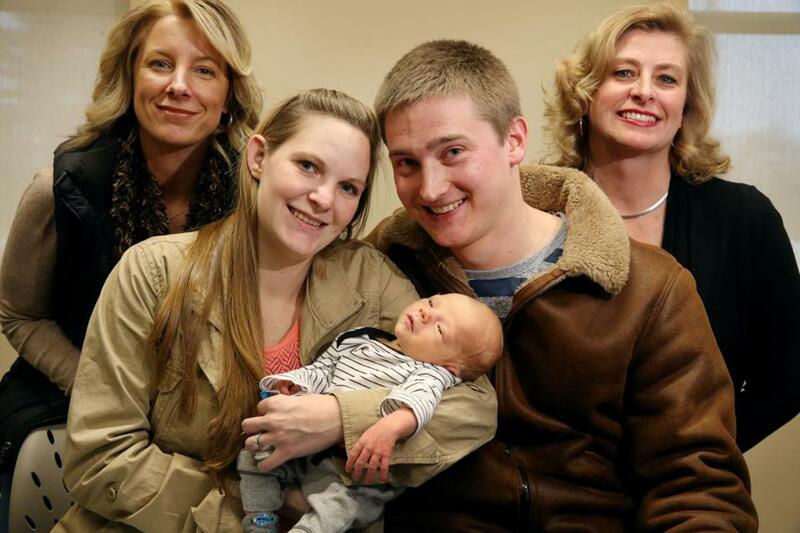 Baby “Jet” was born 14 weeks early on Sunday and remains in the Intensive Care Unit. Loretta Bledose works on the business side at Orlando Health, but she was a nurse for 40 years. That experience was crucial on her way home from a wedding in Philadelphia when a woman went into labor on her flight. “She said, ‘My water broke. I’m pregnant. My water broke.’ I said, ‘How pregnant are you?’ She said, ’26 weeks.’ I said, ‘Oh, my God,’” said Bledose. A flight attendant handed Bledose some gloves, and minutes later, the baby was born. “There was a bulge there and I put my hands down and eased the baby out. She had a little two pound baby,” said Bledose. A doctor on the plane also helped. The baby wasn’t due until March 8 and had been cleared to fly by her doctor. The mother is a nurse at Parrish Medical Center in Titusville, and Bledose said she remained calm throughout the ordeal. “She kept apologizing, and I said, ‘Honey, this is out of your control,’” said Bledose. Bledose held the tiny baby in a blanket as the pilot diverted the plane to Charleston, South Carolina. “I just kept praying, and every breath, I just kept saying, ‘Keep doing it baby, keep doing it,’” said Bledose. When it was time for landing, Bledose was on her knees, holding the baby tight. “I was just hanging on to mom and baby, and I said, ‘Just land, and we’ll be OK,’ and we were,” Bledose said. The mother and baby were rushed to the hospital. Bledose continued on to Orlando, thankful she played in a role in what she calls a miracle. “I believe that God puts you where you need to be. I truly believe that,” Bledose said.